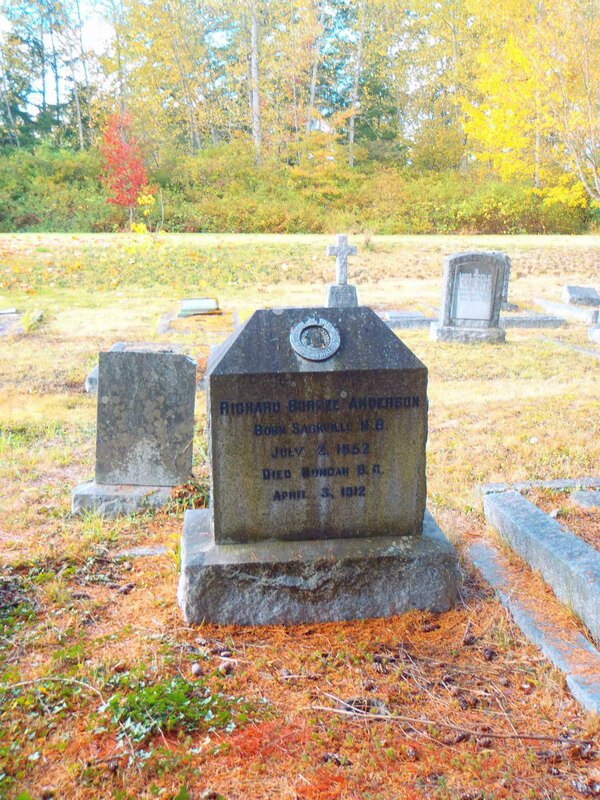 Richard Burpee Anderson (1852-1912) – Temple Lodge, No.33, Duncan, B.C. 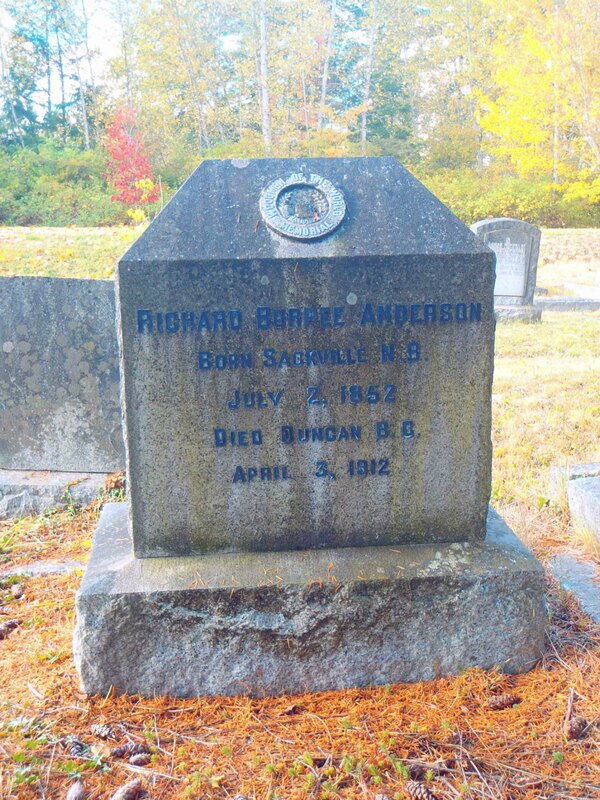 Brother Richard Burpee Anderson (2 July 1852 – 3 April 1912) was born in Sackville, New Brunswick in 1852 and came to the Cowichan Valley in the 1890s. He ran a plumbing and heating business, R.B. Anderson and Son, in Duncan, B.C. His Application For Affiliation lists his occupation as “metalworker” and his residence as Duncan, B.C. A favourable ballot was held on 10 December 1910 and Bro. Anderson was duly elected a member of Temple Lodge, No.33 by Affiliation. Richard Burpee Anderson remained a member of Temple Lodge, No. 33 until his death in a downtown Duncan traffic accident in 1912. This traffic accident happened near the E&N Railway Station on Canada Avenue and seems to have taken place on Canada Avenue between Station Street and Trunk Road. Here is a brief biographical sketch of Richard Burpee Anderson taken from local newspaper reports of his death and funeral. We will be adding additional information over time. At the end of last week there occurred a whole chapter of accidents in Duncan, one of which we are sorry to report proved fatal. On Thursday afternoon Mr. R.B. Anderson was walking across the E&N track toward the Tzouhalem Hotel from the new townsite direction when a runaway team belonging to Messrs. Harrison and Akenhead and drawing a wagon, came swiftly behind and knocked Mr. Anderson down. It appears that he did not hear the team approaching and had no idea what had struck him until after the accident. He was conveyed to the Hospital and it was found he had received a severe scalp wound which necessitated 37 stitches to close it. He also received some injuries to the teeth, while it is also possible that there were internal injuries as the wheel of the wagon passed over him. Up to Tuesday it was thought there was still some hope of recovery, but Mr. Anderson died on Wednesday morning.